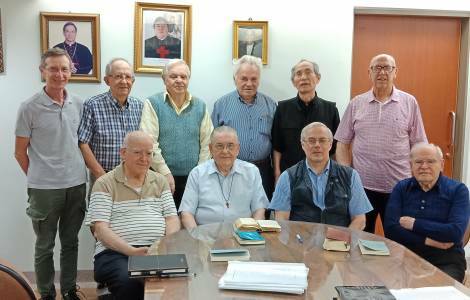 ASIA/TAIWAN - The Camillians in Asia: "The life of the Spirit walks in the mission"
Loudong (Agenzia Fides) - "The Camillian missionaries in Asia today have the same joy and enthusiasm as their first years of mission. They are engaged in teaching catechism, in pastoral work, in the most remote areas, in many charitable works such as kindergartens, hospitals, centers for the elderly and disabled, cultural centers; they are present in formation centers and in seminars for the preparation of future priests and missionaries of the Gospel, also to be sent to other countries in the world": this is what Father Luigi Galvani, Camillian missionary in Flores, Indonesia, told Agenzia Fides about the experiences of Camillian missionaries in Taiwan, the Philippines and Indonesia gathered recently in Loudong, in Taiwan, to reflect on the theme "Charisma of St. Camillus and mission". "The missionaries present found in the charism of St. Camillus, focused on service to the sick and the poor, the inspiration and the strength to devote the best of themselves to missionary work", he told Fides. The presence of the Camillians in Asia, which began in 1943 in great China, over the years, has spread to ten other Asian countries. "In Taiwan, for example, the works carried out in the 66 years of presence, are numerous" explains the missionary. 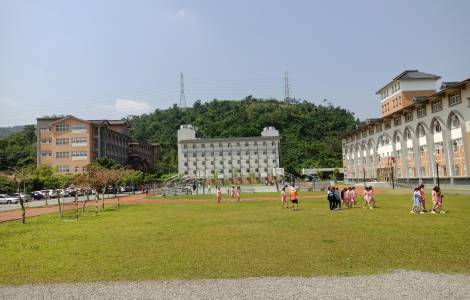 These include the St. Mary's Hospital with 700 beds, the Center for the mentally disabled with 230 beds, a new home for the elderly with 150 beds, a nursing school with more than 3 thousand students and a cultural center with hundreds of students. In the Philippines, in 43 years of presence, 3 small missionary hospitals have been established in three different islands, 4 polyclinics, a nursing home for the elderly and disabled, a school with more than a thousand students as well as pastoral care in two parishes and in some hospitals in big cities, like Manila, Davao and Baguio.